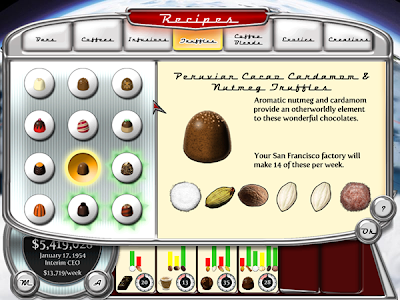 I am currently obsessed with Chocolatier 3: Decadence By Design, the 3rd installment in this popular game series. For the past few days, I've been sleeping late, truly fixated on building my chocolate empire. I wouldn't consider myself a gamer because there are basically only two games I really love: The Sims and Chocolatier. 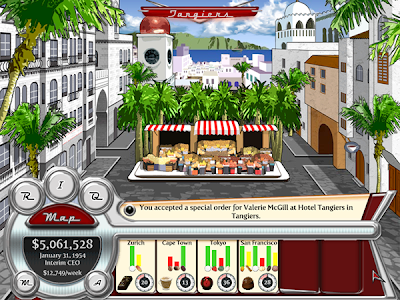 (Although I do like playing time management games sometimes--like the Diner Dash series and Burger Shop). The Sims lets me play God and play around with furniture--while Chocolatier is, well, all about chocolate. I love chocolate. And I so love this game.